Britain's advertising regulator is thinking about taking a long look at Apple and starting an inquiry into the tech giant's claims about the LTE 4G connectivity on the new iPad. 24 complaints were received by the Advertising Standards Authority about claims on Apple's website about the LTE 4G support for the third iteration of the Cupertino based firm's tablet. LTE is unavailable in Britain although some of the carriers in the country like 3 do support HSPA+ , an alternate 4G service that is slower than Long Term Evolution. The same problem came up in Australia where Apple defended its position by saying that it by promoting the new iPad as having 4G connectivity it is referring to an HSPA+ pipeline, not LTE. 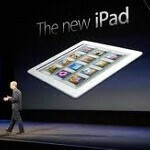 The Australian Competition & Consumer Commission disagreed and said that Apple was misleading iPad buyers. Small print on Apple's website does clarify that 4G connectivity in Australia means HSPA+ data speed and not the faster LTE connection. Obviously, the Australian regulators do not agree with the ITU's decision in December 2010 to call HSPA+ 4G. Apple has offered refunds to those Australians who feel that they were bamboozled. Obviously, the country supports HSPA+ networks but not LTE. The problem is that the LTE connectivity on the new iPad is based on service available via Verizon and AT&T in the U.S. along with the LTE networks available in Canada with Bell, Rogers and Telus. 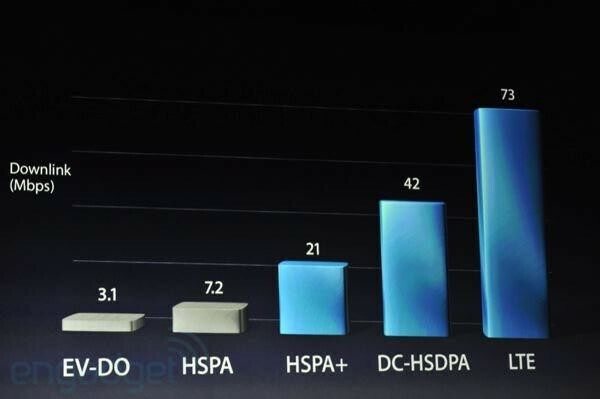 Elsewhere, iPad buyers are stuck with using HSPA+ for 4G connectivity, where available. So apple is being sued by companies that don't offer LTE even though the ipad has LTE? Fine print by it's very nature is misleading. It's a practice that should be ended by all companies across the board. They bet that you're not going to take the time to read all the way through or that the big pretty blinking banner ads will distract you into an impulse buy. If you do happen to read through though, not only is the font smaller but sometimes they even italicize it or make it gray to encourage you to skip it even more due to the extra required focus. So, is the Siri ad misleading? Damn straight it is. Just as misleading as every other company that includes fine print. Which is about all of them. i realize that outside of america HSPA+ is considered "3.5g" and not "4g", even though the real world speeds are not that much different... but this is a little silly dont ya think? im all for suing apple, when its something of merrit. This is just a lil frivilous. Then again, its easily fixed. Send out stickers to the retailers that match the box coloring that say "3.5g" instead of "4g" and put it over the part on the box where it says 4g... until they can get fresh boxes out.